The average views needed to gain one share online is 24 and some of the best creative examples of social video have a ratio of eight to one, she said. 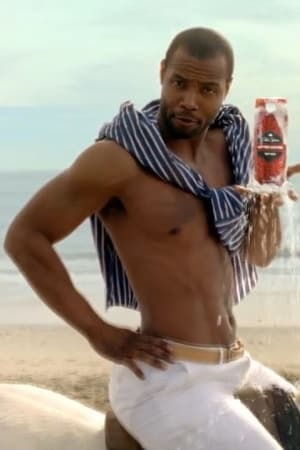 Dove and Old Spice are often held up as examples of great viral successes, but while they have huge volume of views and shares, most of that reach was paid for rather than organic. Without revealing the specifics, Nelson-Field said Dove spent "a lot, like, a lot a lot" on seeding Sketches and so Unilever isn't surprised by the level of sharing. MoFilm chief creative officer David Alberts told the audience that unless a brand is going to invest behind the scenes on media, they may as well not create the content on the first place. MoFilm is a global crowdsourcing scheme that allows brands to put out briefs for branded content to a community of 60,000 film makers who can then submit an idea and see it put into practice. The 2014 Awards recognised films for brands including Lipton, Dove, Reckitt Benkiser's Scholl and eventing company C-vent. Alberts claimed a key selling point for MoFilm branded content is that it reduces the chain of command between the marketer commissioning the work and the filmmaker creating it. In his agency days, he reminisced, he once counted 27 people between the marketing director and the film-maker. With MoFilm, that is reduced to three. Creatives might like to think it's the strength of the creative idea that drives social sharing and helps brands clock up thousands of views on YouTube, but they're wrong. Media planning trumps creativity and shares are dictated by good old fashioned distribution. YouTube predicted in 2012 that 90% of all online traffic in 2014 would be video, and marketers have their eye on online content, but great creative isn't enough to earn the tag 'viral'. Viral is a “myth” and the most “grossly overused” word in marketing, according to marketing academic Dr Karen Nelson-Field and marketers need to rethink it if they want to make social content that people will share far and wide. The only way to get mass reach with online video is to invest in distribution and seeding it appropriately. How much a brand invests in distributing content and seeding it online will dictate he shares and views it gets. The diffusion graph of social content is the opposite of what most people think, she said. It doesn't start from a small base and swell - it has to start from a big base, and that comes from investing in media to seed the content. Speaking at the MoFilm Sydney awards dinner yesterday (13 February) Dr Karen Nelson-Field of the Ehrenberg-Bass Institute for Marketing Science at the University of South Australia, told an audience of brand marketers and film makers that creativity won't earn marketers the 'viral' effect they are looking for. “There's a lot of hype out there in the digital space,” she said. “It's important to step back from the hype and look at what is actually happening. I want you [advertisers] to get it out of your head what you think viral is. Viral content is usually a small audience."